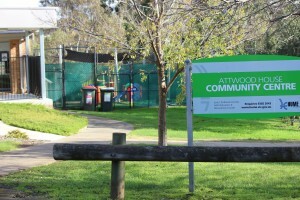 Attwood House Community Centre Inc. is a not-for-profit community based organisation which delivers a range of social, interest, education, health and wellbeing and care programs and services to the communities of Attwood, Greenvale, Gladstone Park and West Meadows. The Centre is governed by a Committee of Management elected by the community to serve and represent the community. The Community Centre building is owned by Hume City Council and is leased to the Committee of Management on behalf of the community to deliver a range of programs and services designed to respond to and support the needs of the local community. Attwood House Community Centre Inc. has been serving the community for 25 years and resulted from a public meeting in February 1989. In 2013 Hume City Council undertook a capital refurbishment and extension of the original Community Centre with the ‘new’ look Attwood House reopening and operating to full capacity in February 2014. Attwood House Community Centre will be recognised as a dynamic and professional community resource. 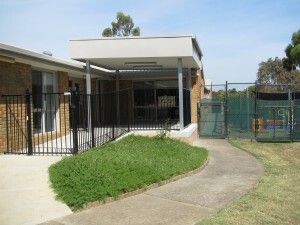 Attwood House Community Centre will be seen as a leader in the provision of local programs and services. Atwood House Community Centre will aim to build a sustainable and viable organisation that will continue to support the wider community into the future. Attwood House Community Centre commits to supporting the wider community to build socially engaging, rewarding and happy lives. We will do this by providing the opportunity for people to connect, play, learn and grow in their community. Providing a common meeting place for all people to interact and share common interests in a safe and supportive environment. providing access to special interest groups and learning courses/classes. providing access to high quality early childhood education and care programs and services to families with pre-school children. having a strong focus on a public health policy which underpins all of our activities. working in partnership with other Neighbourhood Houses, allied service providers establish innovative and responsive services and supports for those most in need. As a community-based and legally-constituted organisation Attwood House Community Centre is governed by a voluntary management committee comprising of elected members who live, work, or participate in the local community. The governing body is legally accountable to its membership base to endorse the strategic policy framework of the organisation, ensuring the financial viability of the legal entity, and ensuring compliance with all legislative, statutory and contractual duties, obligations and requirements. This form of governance gives validity to the concept of a community –based organisation, responsive and accountable to the local community through its membership base, and the external bodies or authorities with whom it has formal working relationships or funding and service agreements. The governance model is developmental, with the governing body working cooperatively with staff, volunteers, house participants and the wider community, thus generating a range of community benefits. At Attwood House the Committee of Management consists of five community elected Committee Executives. In order to be elected onto the Committee of Management the nominee must first be a member of Attwood House. Acknowledgement: Cited from the Neighborhood House and Learning Centre Sector Framework’s description on governance. Membership for Attwood House Community Centre only costs $5.50 per year and entitles members to discounted rates of house/venue hire as well has having a say and input into how your local neighbourhood house is run.